Hyundai is expecting the introduction of the new 1.7-litre diesel engine in October to help alleviate waiting lists on the ix35 - an issue that's causing real concern for Back Room members. Speaking to honestjohn.co.uk, Hyundai UK Managing Director Tony Whitehorn said that the company has been overwhelmed with orders since the car launched earlier in the year and, despite securing 80 per cent extra production, has struggled to fulfil orders. "Our target for the whole of 2010 was 2800 cars. By the end of September we will have sold 3600 and by the end of the year we're expecting to have taken orders for almost 5000," he said. The problem with being unable to fulfill customer orders stems from a lack of supply of the 2.0-litre diesel engine. 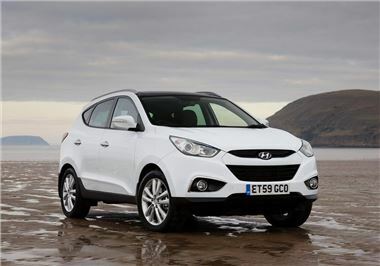 It's currently the only engine available to UK Hyundai ix35 buyers. It's not just a problem in the UK. Europe also faces similar delays and waiting times because of demand for the 2.0-litre diesel engine. It's used in a number of big-selling Hyundai and Kia models, with the Korean plant that produces it (the engines are then shipped to the Czech Republic where the ix35 is built) running at full capacity. Hyundai buyers haven't faced long waiting lists in the same way that customers of BMW, Volkswagen and Audi have up until now, which means the recent waits for an ix35 have taken buyers by surprise. Indeed, Hyundai isn't alone in having long waiting lists, as we revealed last month. Mr Whitehorn said that he expects the introduction of the 1.6 and 1.7-litre engines to ease the pressure, as there is currently no demand from other models for the engines. The 1.7-litre diesel, which is cheaper than the 2.0-litre diesel, is on sale in October and will be available immediately. Any ix35 buyer who wants to swap their order from a 2.0-litre to a 1.7-litre can do so and receive their car in the next month. Mr Whitehorn said that 1.7-litre diesel has only just been allocated to dealers, meaning there should be plenty of cars available. Anyone ordering a 2.0-litre diesel ix35 today faces a wait until February 2011. Continued demand means that there is likely to be a waiting list for some time to come.